On Tuesday, April 16th, 2013, Lurgan man Martin Corey will have spent three years in Maghaberry Prison without any charges ever being placed against him. During that time, police have never questioned or interviewed Martin regarding any incident, occurrence or event relating to his imprisonment. 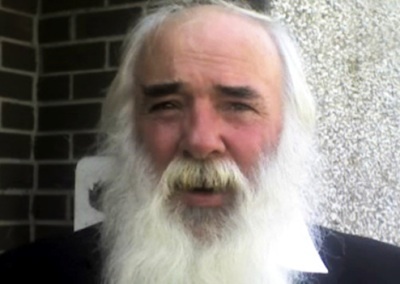 Martin Corey is a 62 year old man who served 19 years of his life in Long Kesh as a republican prisoner. He was released by the prison authorities in 1992 and began to rebuild his life. He is a popular figure from a well respected, hard-working family in the town. It was a proud day for Martin when he was granted a loan to purchase his own mechanical digger. After a time, he gained the contract as the parish grave digger, covering several cemeteries in the greater Lurgan area. Many people, myself included, will recall his compassionate approach and professionalism during the time of families’ bereavement. For the past three years, his solicitor and barristers have challenged his unlawful detention on numerous occasions in the High Court. On Monday, the 9th of July, 2012, a High Court judge, Justice Seamus Tracy, who has a background in the European Human Rights Courts, ordered Martin’s immediate release, stating that his Human Rights had been breached under sections 4 and 5 of the European Human Rights act and that there were no charges for which he should answer. I waited for 4 hours outside Maghaberry with Martin’s family that day, only to be told at 4:15pm that the then current Secretary of State, Owen Patterson, had overruled the High Court judge and blocked Martin’s release. I was 25 yards away from Martin when I received that call. I watched him step out of the prison van at the reception centre and watched him walk back to the van to be returned to his cell. As he got into the van, he paused and stared at me and that will always be one of the hardest and cruelest moments I have ever witnessed in my life. Martin has a legal entitlement to an annual Parole Board review every twelve calendar months to reevaluate the reasons for his continued detention. I have been accepted to speak on Martin’s behalf; however, every date set for a hearing for Martin last year was followed by a cancellation by the Parole Board, citing numerous excuses. Martin hasn’t received a parole review in 18 months, an action deemed illegal by the Court of Human Rights in Strasburg. We are currently awaiting a date to take this case to the High Court for a judicial review. Martin has been subjected to a number of incidents during his time in Maghaberry Prison. These incidents include waiting over three weeks for an emergency dental appointment; of note, a veterinarian would have a legal obligation to report a pet owner for cruelty if he found an animal to be suffering for that period. Also, Martin’s request for compassionate leave to attend the funeral of his brother was denied by both the Prison Service and the Courts without any reasons given. He was only granted leave to attend 1 hour before the service started after a request was made to the Justice Minister on humanitarian grounds. I had to make three requests to the Prison Ombudsman to intervene in cases concerning material submitted by myself for Martin for use in his cell crafts. The prison staff either confiscated the printed image materials or refused to provide them to Martin. The Prison Ombudsman upheld all three decisions in Martin’s favour, ruling against the Northern Ireland Prison Service and determining that the material must be provided to Martin. Martin’s case has been in the High Court in Belfast several times over the past three years, without any finding of criminal offence with which to charge him. Had Martin been charged with possession of an illegal firearm during his arrest three years previously, he would have been released six months ago. There is no other name for his illegal detention other than internment without trial. As a close friend of Martin’s, I am in a better position than most to know if he was ever involved in any activity that could be deemed illegal or “a threat to National Security”, a phrase often utilized by faceless, nameless individuals in the courts. I can say without fear of contradiction that Martin is an innocent man. Everyone should make their voice be heard and call upon the Secretary of State to either bring charges against him or release him immediately. We are currently awaiting a date to attend the Court of Appeal in London to challenge his illegal detention. If unsuccessful there, we will take his case to the European Courts of Justice. We will continue our presence at the Belfast High Court to request the Parole Board to give an explanation as to why Martin has been denied his legal right to an annual Parole Review.